Show your Apprentice love! This high quality embroidered twill patch features the 1oth anniversary logo. The text and image of Dorian's bow stand out from the background, giving the patch a 3-dimensional feel. This is a 3-inch sew-on patch. 1. You never know what's going to be popular, so take all of your work seriously. 2. Art education desperately needs to start taking law and business seriously. It never fails to amaze me that an artist can have a bachelors degree, and still not understand IP law or basic business concepts. Don’t fall into the trap of being an expert before you’re ready. We have enough of those. Home relaxing in our jammies. More stuff tomorrow. View from behind the table. We are ready to open for business in 6 minutes! 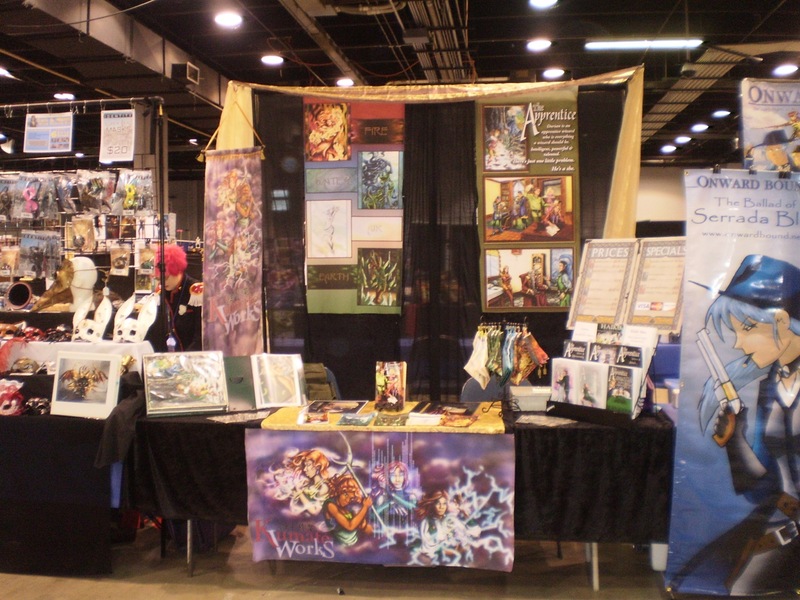 Artist Alley B06- Celebrating 10 years of The Apprentice!